With massive device support and a simple interface, it’s hard to beat SmartThings to anchor your smart home. SmartThings isn’t the earliest entrant to the DIY smart home market—it’s predated by companies such as HomeSeer, Insteon, and Vera—but its hub has gained the kind of mainstream market acceptance that has eluded its elders (all of which are still around). SmartThings has evolved considerably since it crowd-funded its way to a $1.2 million launch budget in 2012. Even after Samsung acquired the company in 2014, the SmartThings hub remained a scrappy product that eschewed the razzle dazzle of some of its competitors. The second-generation hub reviewed here, which arrived in 2015, was a mostly cosmetic update (apart from the welcome addition of battery backup and video-streaming support) accompanied by a spruced-up mobile app. But what it lacks in flash, the SmartThings hub more than makes up for in capability. If compatibility with a vast number of smart home products, diverse wireless technologies, and a rock-bottom price tag are all important to you, SmartThings should be at or near the top of your list. Installation remains extremely basic, largely a matter of plugging the hub into your router and setting up an account with Samsung. (Like the first-generation hub, the second-generation does not integrate Wi-Fi.) From there, you can start adding devices to work with the hub. 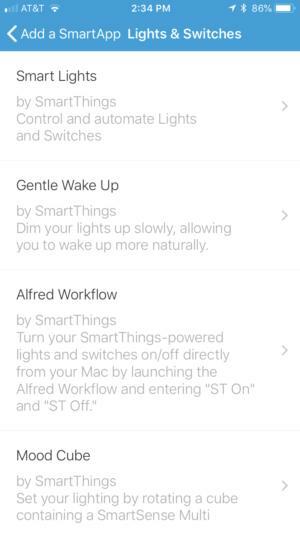 SmartThings has its own branded sensors and other gear; but frankly, I’ve never used any of it because the system is so agnostic. 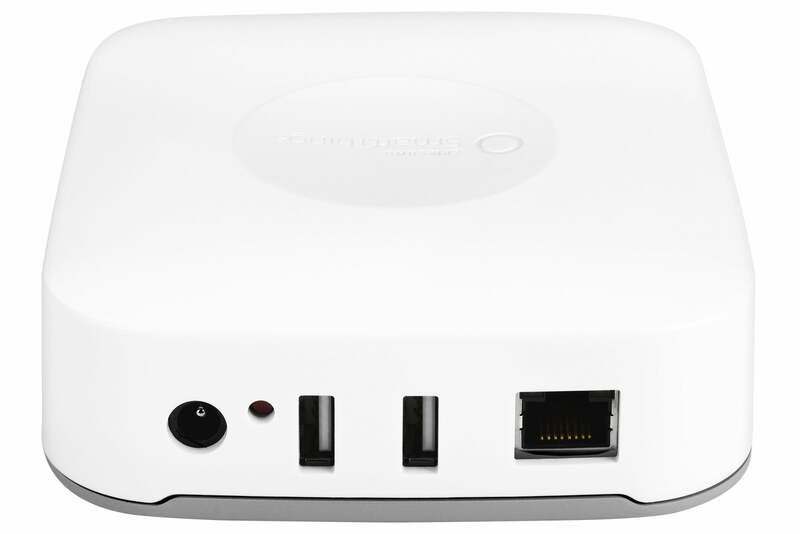 The hub has both ZigBee and Z-Wave radios onboard, and two USB ports for local devices. Bluetooth is on the roadmap for a future update, although that’s been the case for quite some time. A simple list of all connected devices leads the way to the SmartThings app. 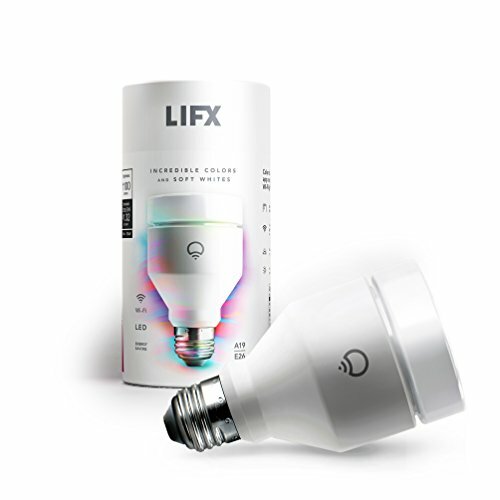 SmartThings supports a vast spectrum of third-party products, including Philips Hue, LIFX, and Sylvania smart bulbs; GE, Leviton, and Lutron lighting controls; Ring video doorbells, Netgear Arlo home security cameras; Ecobee and Honeywell smart thermostats; Kwikset, Schlage, and Yale smart door locks; Bose smart speakers; and a host of other products in every smart home category you can think of. 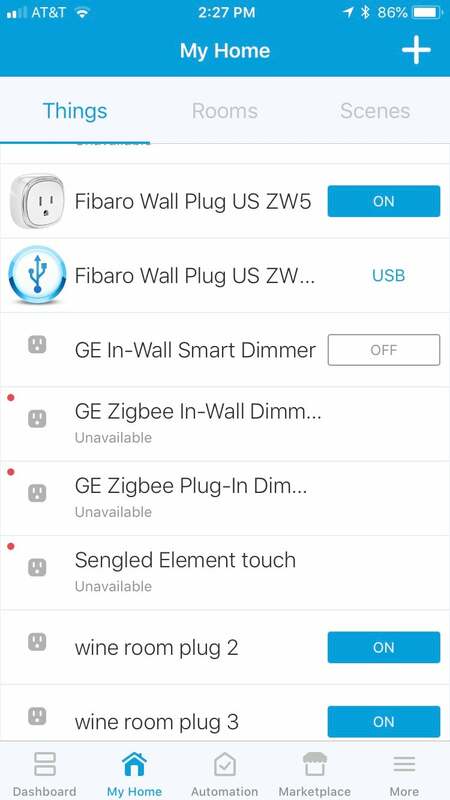 It’s tough to find holes in SmartThings arsenal, but they do exist. The platform is not in the Works with Nest program, for example. That said, some users have managed to hack their own connections, and if you’re willing to tinker, you’ll find products with privately coded device handlers that you can upload to a SmartThings hub. To add an officially supported device, you must first find it in a lengthy set of menus (a search system helps streamline this), and then dive through a connection routine that differs for each product. Once you add a device to SmartThings, it appears within its plain-Jane interface on the My Home screen, which is just a list of devices in alphabetical order. You can make this more useful by organizing devices into Rooms, or using Scenes to manage multiple devices (in the same or different rooms) simultaneously. While this can involve extra steps, it’s relatively straightforward and easy to navigate. SmartThings has an automation system built in, and it’s also developed a series of “SmartApps,” designed to simplify certain activities, such as alerting you via multiple methods if any leak sensor in the house detects water. Without the SmartApp, a more complex automation involving a multitude of devices would be difficult to design (and easy to mess up). 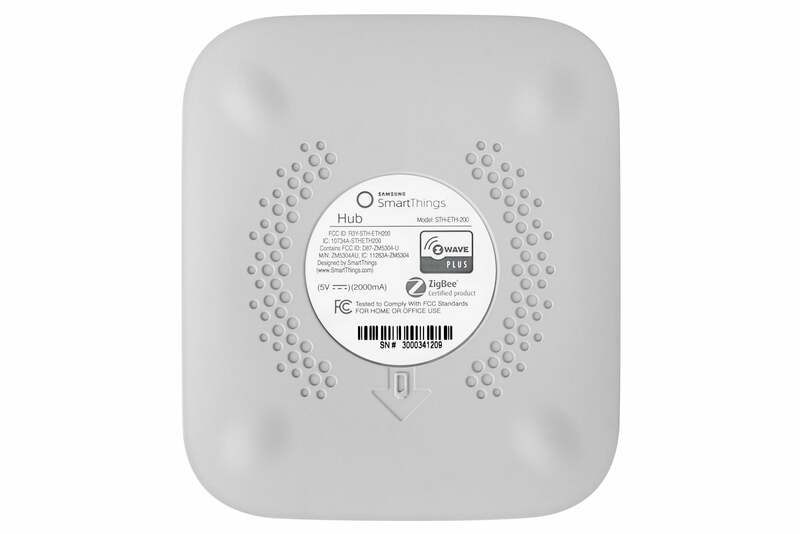 You'll need to hardwire the SmartThings Hub to your router using an ethernet cable. The dual USB ports only provide power at this time. You can use voice commands to control your smart home thanks to support for Alexa and Google Assistant, and there’s strong support for IFTTT, which gives you lots of flexibility. There’s even an Apple Watch app (but there’s no HomeKit support, or at least no officially sanctioned support). 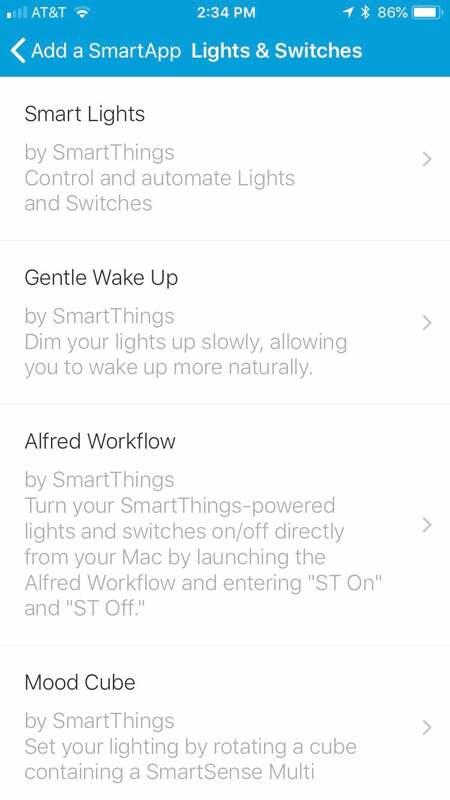 You are forgiven for wanting to use these other tools to work with SmartThings because, again, nothing in its native app is very pretty. If having a modern and sophisticated user interface is important to you, SmartThings may not be the perfect fit. SmartApps make complex automations simpler. The only other feature missing from the SmartThings hub is a GSM module that would keep the hub connected to the internet if your regular broadband connection goes down. Many SmartThings devices depend on servers running in the cloud—and an internet connection is a must for voice control—so not having internet access can mean having a whole lot less control over your smart home. The bottom line, however, is this: SmartThings is the one of the strongest DIY smart-home platforms you can buy, and the universe of products it supports is so broad that if you’re switching from some lesser system, you’ll probably be able to bring most of that hardware with you. 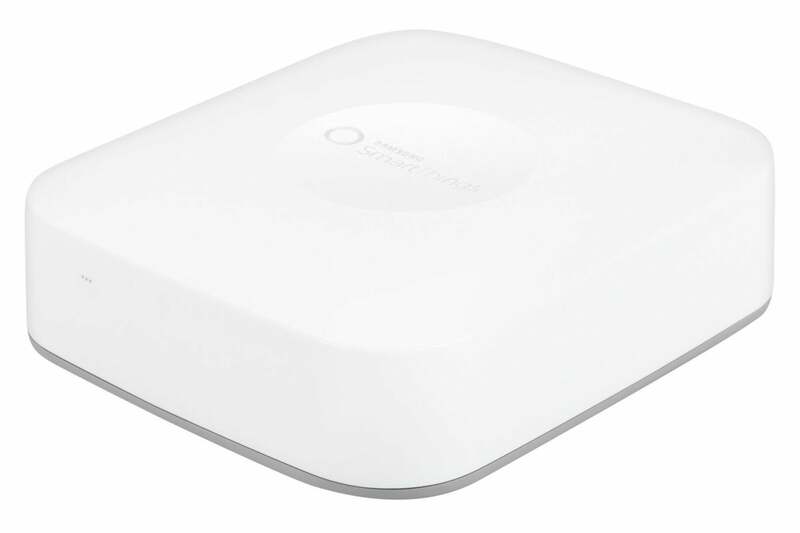 This story, "Samsung SmartThings Hub review: One of the best in the business" was originally published by TechHive.